I’m planning ahead for holiday books to read this year and welcome suggestions from Bookwinked followers. This entry was posted in Uncategorized and tagged Christmas books. Bookmark the permalink. 6 Responses to Feedback request! Thanks for the recommendation! Sedaris is a funny guy! I’ll check it out. Though I am not proud to admit it, I occasionally google The Fat Man to see how Gumdrop and the gang are faring on the interweb and found your generous recommendation. Thank you. Gumdrop and I can vouch that you’ve avoided the Naughty List this year. I’d also like to tell you and your friends that The Fat Man has been selected as the December title for Dutton’s new ebook imprint Guilt Edge Mysteries, so please look for specials around that closer to December. You might also like The Stupidest Angel by Christopher Moore. Rude, but funny. Thank you for sharing the great news on the Dutton endorsement. I appreciate your talent and will check into The Stupidest Angel book! 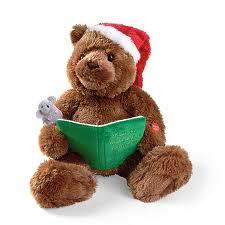 If spreading the word on good books like yours will keep me off the Naughty LIst, I will keep on doing so! I’m going to read “The Reversible Santa Claus,” by Meredith Nicholson written in 1917. I loved his novel, “The House of a Thousand Candles” and can’t wait to get into this book as well. Thank you for your recommendations! I love old books and was on the lookout for additional December reading! Welcome to Bookwinked!